Looking for low cost cheap SEO Leeds? Feeling disappointed with the lack of business generated from your website? You may benefit from some basic SEO! No long term contracts and freedom to cancel at any time. Based in the Leeds area we have a team of SEO specialists who can will help you increase your web presence at reasonably cheap prices. Search engine optimization (SEO) is the process of improving the volume and quality of traffic to your web site. Carefully researching and analysing your site and competitors to find out what search engines are looking for to rank your site above all the other web sites for the chosen specific keywords. Search Engine Optimisation is one of the most important parts of developing a website and a huge part of your business online marketing strategy. Choosing a web developer and designer who understand SEO is crucial to your future SEO campaigns. Web sites need to be built with SEO in mind from the ground up. There is little point developing a website for your business if your customers, or potential customers, can’t find you! Don’t blame your website developer for low Google listings, it’s likely you only employed them to build you a website. SEO is a totally separate service and if you didn’t pay for it (or didn’t ask for it in your website quote), you can’t really expect to have it. It’s like asking a plumber to fit a bath and shower for you, then once it’s done asking him why he hasn’t fit the toilet and tiled the bathroom too? When he says, “yes, I can do it for you, but it will cost X amount more”, you wouldn’t be surprised would you? He charges you for time, labour, knowledge and materials, so does a web designer/web developer and an SEO consultant. SEO takes as long, NO, longer than building a website, more so, once your website is built it usually doesn’t have to change and is complete, but SEO is an ongoing process if you want to remain competitive in the search engines. So, I will ask the question again; Does your website generate sales and enquiries and does it appear in Google for relevant search terms? 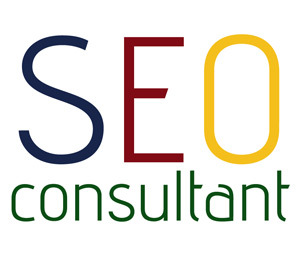 If it doesn’t, then read on to find out about my low cost SEO services. Use our quick free tool to do a simple SEO audit on your website and see how it could be improved. Go to Google and type in your business name – Are you there? You should be on the first page at minimum, preferably within the first 3 results! Go to Google and enter your business description (e.g. accountants, electrician) plus the location where your business is. Are you on the first page? Are your competitors? Go to Google enter key product or service (e.g. carpets, car parts, window cleaning) plus the location where your business is based. What do you see? Doing these things will give you some clue as to where you are placed on Google and may explain why you are not receiving direct custom via your website! Get an easy to understand SEO report highlighting all the areas on your site which will provide quick wins for SEO. The report highlights areas which ultimately should be addressed to improve your websites SEO. It’s your first step on the SEO journey, and will provide you with some simple easy to understand statistics about where your site is failing, or in fact succeeding in the search engine race. Address the problems with your website yourself, if you know how, or use a friend, or another SEO specialist to implement the changes to your site. You can also ask us for a quote to address the issues for you. Regardless, if you follow our advice, you’ll make your page more accessible, relevant and reputable and ultimately start the journey to improving your ranking on the search engines. We only accept a MAXIMUM of 10 SEO clients at any time due to the time involved in providing reports and quality SEO services. We may accept more in the future. We currently have 5 clients; get in touch if your would like to use our services.